This week will be unusual, this Thursday is a Thanksgiving day in the US and the exchanges will not work. The “Black Friday” will take place on Friday, and the trading day will be shorter, in fact it will pass without Americans. Summarizing the facts, we can say that week begins with the weak fundamental background and ends without the American session as such. However, the events that will come from the outside, will definitely give a reaction, and we will build our trading ideas based on this setting. Friday ideas as a whole were realized as we expected. We saw a weakening of the US dollar in many ways. 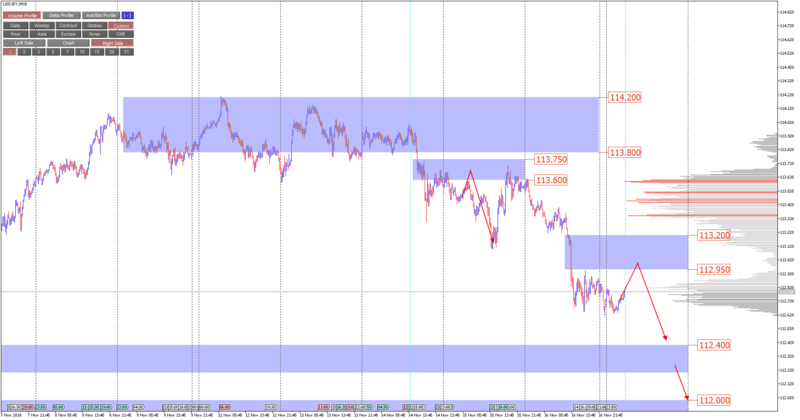 The exception may be a pair of GBPUSD, but there is another problem. Today we will rely on the fact that we will see corrective movements, after which we will continue to consider the weakening of the US dollar as the main direction. Until then, until the facts appeared count back. 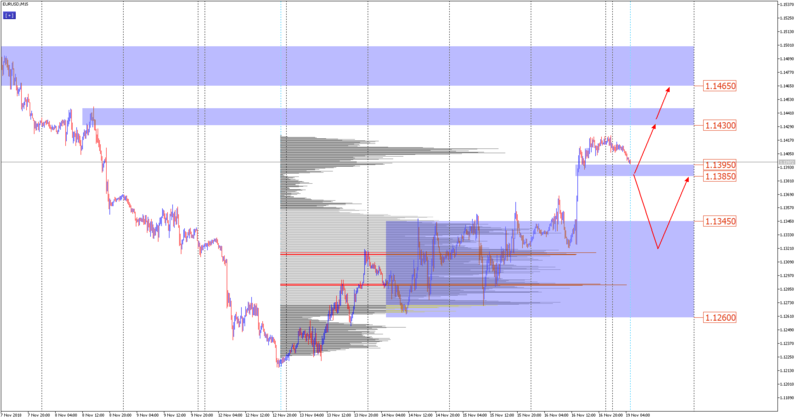 For example, a pair of EURUSD. On Friday, she expectedly shot upwards and did not give a serious backward rollback, which can be considered a sign that this sample is not false. And we have two ideas. The first, aggressive, is to buy from a small balance of 1.1395-1.1385 with a view to 1.11430 and 1.1465. Here we assume that the initiative of buyers is strong and the pair will not fall below 1.1385. And if we still see it, then we will assume that the correction movement has begun, and we will speak about purchases next time only in the price range of 1.1345-1.1260. But this seems to be an idea not for today. This pair also felt down on the general weakening of the US dollar background. As we can see, the maximum balance is in the price range 113.20-113.75, and only a breakdown of this balance will tell us that the downward trend does not exist. But today we can try a more realistic idea. This is the sale of a small resistance 113.20-112.95. It was in this range that on Friday's session, the triggering of someone else’s stop orders and the further manifestation of the power of sellers was recorded. Therefore, we assume that the price is higher than 113.20 will not rise, and the target for falling is 112.40 and 112.00. Note that the appearance of the price above 113.20 will not mean a reversal of the trend. This will be a sign of weakness in the trend, and we can return to ideas to sell higher, but this is not an idea for today.